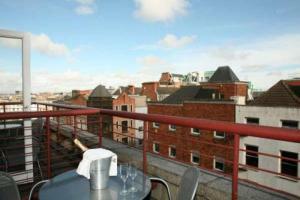 Located in Dublin’s centre, Staycity Serviced Apartments - Christchurch are just 5 minutes’ walk from Temple Bar. 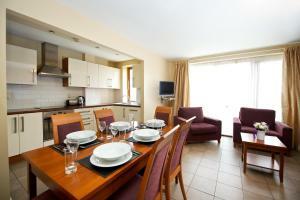 They provide fully equipped kitchens, balconies, and a sitting room with a DVD player. The lounge area provides sofas and a TV for guests to relax with. Dublin Castle is located less than 10 minutes away on foot, and the central shopping of O’Connell Street is a 20-minute walk away. 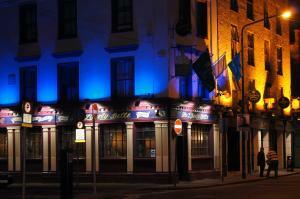 The Guinness Storehouse is a 10-minute walk away, and Trinity College is a 15-minute walk. Holiday apartment 262582 Free pickup at Airport.Free starter grocery pack(tea,coffee,bread,drinks,biscuits,cake).Stress free start to your holiday.No exit cleaning fee. Crompton Hall price per day from €90 A 5-minute walk from the River Liffey quayside, the Crompton Hall apartment accommodates up to 4 guests in central Dublin. 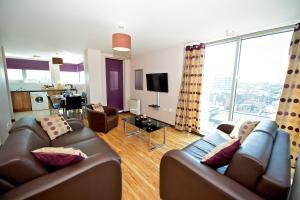 This contemporary apartment has free Wi-Fi and is just 6 minutes’ walk from the Guinness Storehouse. 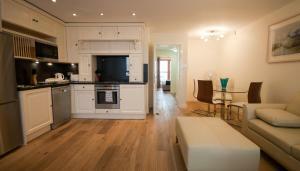 This 3rd-floor apartment has 2 double bedrooms, 1 of which can be converted to a twin room. 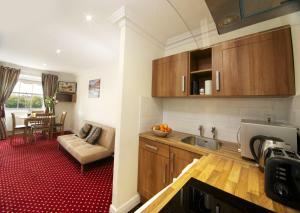 The well-equipped kitchen includes a washing machine, microwave, kettle and toaster. 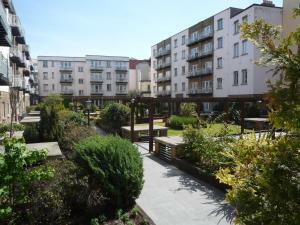 Francis Street Christchurch apartments price per day from €98 Situated 10 minutes’ walk from the Dublin city centre and the vibrant area of Temple Bar, Francis Street Christchurch Holiday Apartments is a self-catering accommodation which offers free WiFi. 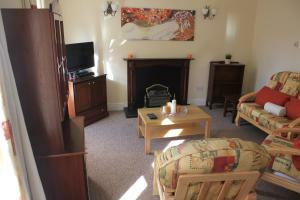 A fully equipped kitchen and separate lounge area with sofa and TV with DVD player are provided in the Francis Street apartment, along with a washing machine. The historic Trinity College is a 15-minute walk from the apartment, and St Patrick’s Cathedral is just 300 metres away. 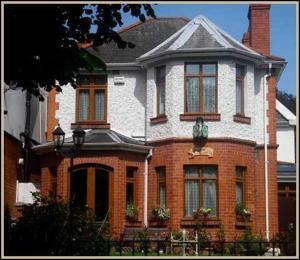 Dublin Retreats Dublin Retreats is a self-catering accommodation located 15 minutes' walk from the city centre. 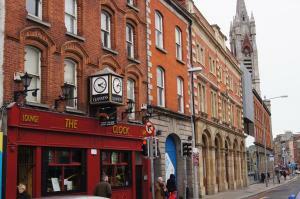 Christ Church and St Patrick's Cathedral can both be reached within a 5-minute walk. 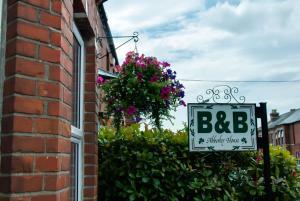 Accommodation will provide you with a TV, a terrace and satellite channels. There is a full kitchen with a microwave and an oven. You can also enjoy a city view. 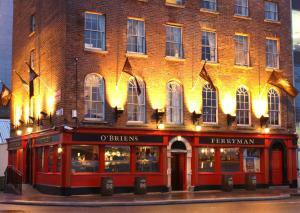 If you feel like visiting the surroundings, check out Dublin Castle (700 metres) and Temple Bar (800 metres). Holiday apartment 304295 This apartment is located on the top floor with lift access. The interior decor is colourful and varies from room to room. Holiday apartment 304330 HELLO!We are Mauro and Carmel, an Irish-Italian couple. We run a small travel agency here in Dublin and we have many contacts with property owners and managers for holiday rentals. 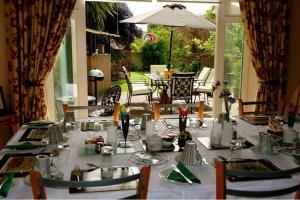 Restaurant Queen of Tarts, Dublin Guest reviews: 9/10 ~ 0,4 km from Staycity Serviced Apartments - Christchurch Address: 3 - 4 Cow's Lane, Dublin. Restaurant Corfu Greek , Dublin Guest reviews: 9,2/10 ~ 0,5 km from Staycity Serviced Apartments - Christchurch Address: 12 Parliament Street, Dublin. Cuisine: Greek. Restaurant Bad Bobs, Dublin Guest reviews: 9,2/10 ~ 0,6 km from Staycity Serviced Apartments - Christchurch Address: 35-37 Essex Street East, 2, Dublin. Cuisine: Gastropub. Restaurant The Stage Door Cafe, Dublin Guest reviews: 9,4/10 ~ 0,6 km from Staycity Serviced Apartments - Christchurch Address: 10b / 11 Essex Street East, Dublin 2, Dublin. Cuisine: Soups. Restaurant Kathmandu Kitchen Nepalese & Indian , Dublin Guest reviews: 9,2/10 ~ 0,6 km from Staycity Serviced Apartments - Christchurch Address: 18 Dame Street, Dublin 1, Dublin. Cuisine: Indian.